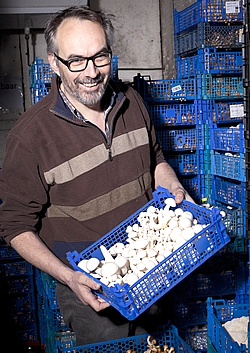 Organisations of employers and employees, involved in either the growing or the trading of mushrooms, have taken their responsibilities regarding fair produce and joined forces in the Stichting Fair Produce. This hallmark prevents retailers and food-service companies from being confronted with labour abuses. By doing so, the Dutch mushroom sector is leading the way in dealing with the social abuses in the chain. The chain hallmark Fair Produce Nederland guarantees that the products concerned are produced by employees who have been treated fairly: they receive a fair wage according to the Dutch laws and regulations, have access to good accommodation, and work under good labour conditions. The companies meet stricter conditions than legally required and operate in monitored chains. Examples include: no obscure labour constructions, all hours are paid out, maximum amounts withheld for accommodation, and - if temporary employment agencies are involved - the obligation that only NEN 4400 certified agencies qualify. During the audit, employees are extensively interviewed, if necessary with the help of an interpreter.